The following is my response to her question. She never responded back to me, so I do not know what her thoughts were concerning this answer. So, I just thought I would share it here thinking others may find it helpful in dealing with the same criticism, or that perhaps I may get some kind of response or feedback from someone who disagrees. Keep in mind that this response was written to a practicing Christian (as opposed to a non-Christian critic), so the truth of the Bible is assumed in my reasoning of why I feel that it is the Spirit of God that bears witness of the Book of Mormon. Also, I have slightly edited it to weed out mistakes in grammar and punctuation, etc. which I missed when I first wrote it. 1. Good Things Come From God: I'm sure you are familiar with the teaching in the Book of Mormon that “all things which are good cometh of God; and that which is evil cometh of the devil” and “that which is of God inviteth and enticeth to do good continually” (Moro. 7:12-13, also see verses 11-17). This is consistent with the principle that the Savior taught by analogy with the fig trees which bring forth good and bad fruit (see Matt. 7:16-18), namely that good comes from that which is good and of God, and bad evil things come from things that are corrupt and evil. The spiritual feelings I have experienced have been good feelings. They have led me to good things. Following the teachings of the Book of Mormon (and other scripture) and the LDS Church has resulted in more and more good in my life. Based in this simple principle, I must conclude that the good feelings are from God and not a false spirit. 2. Feelings Consistent with the Spirit of God: The Apostle Paul taught Timothy that “God hath not given us the spirit of fear; but of power, and of love, and of a sound mind.” (2 Tim 1:7) He likewise taught the Galatians that the fruits of the Spirit of God are (among other things) love, joy, peace, goodness, and faith (see Gal. 5:22-23). Jesus taught that the Holy Ghost was a comforter (see John 14:26), and that it would testify of truth (see John 16:13). Thus, the Holy Ghost (or Spirit of God) is a spirit of power, love, joy, peace, comfort, truth, goodness, faith and a sound mind. That description is consistent with the spiritual feelings I have experienced. They are likewise the feelings I feel coming from the Book of Mormon, and the LDS Church. In contrast, Paul mentioned a “spirit of fear” which is not of God. I have never felt fear from either the Book of Mormon or the LDS Church teachings. Paul also spoke to Timothy of “seducing spirits” which taught “doctrines of devils” (1 Tim 4:1). The things he says are taught by these spirits are (a) “speaking lies in hypocrisy” (b) “forbidding to marry” (c) and “abstaining from meats” (1 Tim. 4:2-3). I don't find any of these things coming from the spirit which I have felt. In fact, I find just the opposite. I got married back in August. I felt the Spirit confirm and encourage this decision, rather than “forbid to marry.” I have also felt this same Spirit encourage me to be honest at times when I have been tempted to “speak lies.” These are just some quick examples from my own experience. 3. The Holy Ghost Testifies of Christ: Probably the most important test (at least in my opinion) given in the scriptures on how to determine the Spirit of God from false spirits is given by the Apostle John. He taught that to “try the spirits” we feel, we need to know if the spirit we feel testifies of Jesus Christ. If it does, then that spirit is God, but if not, then that is not God’s spirit (see 1 John 4:1-3). The Apostle Paul also taught that no one can honestly testify of Jesus Christ except by the Holy Ghost (see 1 Cor. 12:3). Jesus likewise taught that the Spirit testifies of Him (see John 15:26). Thus we have an important way to test the spirit which we feel. Does it testify of Jesus Christ? 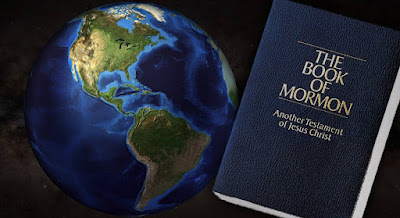 Because the Book of Mormon itself testifies of Jesus Christ, any spirit which testifies of the Book of Mormon inherently testifies of Christ (the same goes for Joseph Smith and the LDS Church). However, I do feel that it is important that you seek a testimony of Jesus Christ independent of any other testimony. The spirit felt testifying of Jesus Christ is the Spirit of God. I have felt the Spirit of God testify to me of Jesus Christ as my Savior, Redeemer, Lord and God. That same spirit has testified to me of the Book of Mormon, Joseph Smith, and the LDS Church. It is also the same spirit that has testified to me of the truth of the Bible. Sorry that was really long. But that lays out my experience and reasoning on the matter. If the spirit I felt testify of the Book of Mormon and the LDS Church was a false spirit, then I must reject the Bible, and Jesus Christ Himself, because the same spirit has given me my testimony of all those things. This is just my experience. I can't speak for you or anyone else, but I can say I have a hard time believing that the Spirit of God and a false spirit would testify of the same things. Also, I added you to my blogroll. You should actively try to attract a larger audience, Neal. I think your blog is a good read and it deserves it. Thanks Jon. I would like to seek a wider audience, but I just haven't figured out how to that. I appreciate the positive feedback and support you give me (although you likely disagree with most of my views). The key is shameless promotion. Ha ha. Promote. Promote. Promote. On Facebook. On other people's sites. Everywhere. I've found the most effective tool that brings traffic to my site is reddit.com. Reddit has a huge atheist/ex-Mormon community. You may have a harder time utilizing Reddit, however, because the LDS community is pretty small there. And once you get an audience, it's important to post regularly. I like the argument you made. Unfortunately, I don't think it changed your facebook acquaintance's feelings, otherwise you would have had a response. As for promoting your site, I agree with Jon. For my football sites the best thing is to find discussion boards that are on topic to what you write and participate. Many that I have found have "signature lines" where you can put whatever you want as your signature. Make your signature your web address. When you make a post, put a link on the discussion boards. People on the discussion boards are die hards and will read anything they can get. I find it interesting that a recent poll of Mormons found that over 98% of those questioned believe in the resurrection of Jesus Christ as a literal historical fact. Not bad for a group of people led to that conclusion by a false spirit. I have had a Baptist minister admit to me that he didn't consider that there was room in the doctrine of the trinity for an embodied Christ. I doubt I will ever hear that from the mouth of a Latter-day Saint. In the mouth of two or more witnesses shall every word be established.